Welcome to the Pavé Shop. All items are made by Castelli. Limited quantities of the Pavé 2011 kit (jersey, shorts) are still available. If you are interested in what is available, or if you have any additional questions please email shop@pavepavepave.com. When you’re ready to check out, click the View Cart button at the bottom of the page. 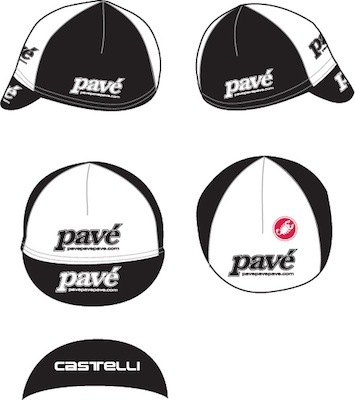 Pavé 2011 Cycling Caps. $10 each.